He was a great story teller, cartoonist, humorist and African music connoisseur. 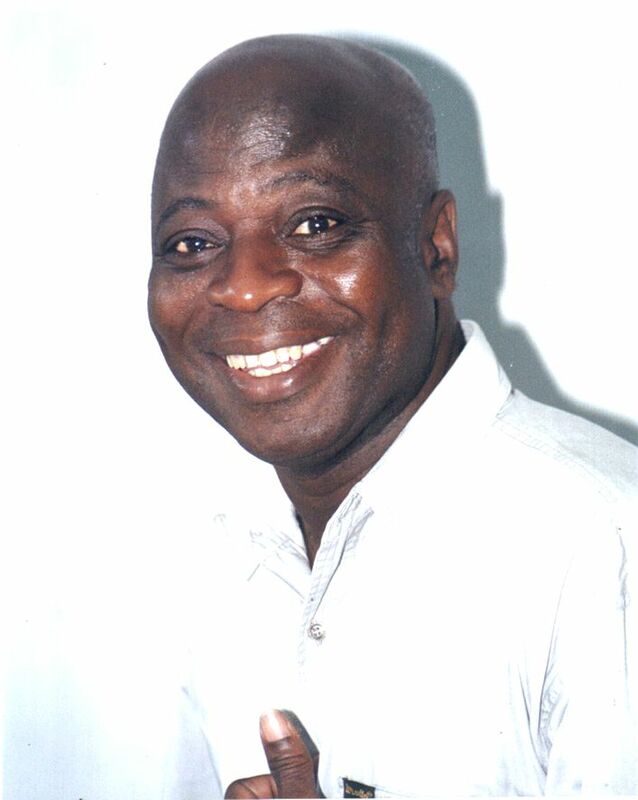 Frank Odoi or simply Fran was a first-rate cartoonist and like it has been said by many who knew him, he had a way of bringing characters alive that was uniquely his. I met him, well at least his work, pretty early in my life. 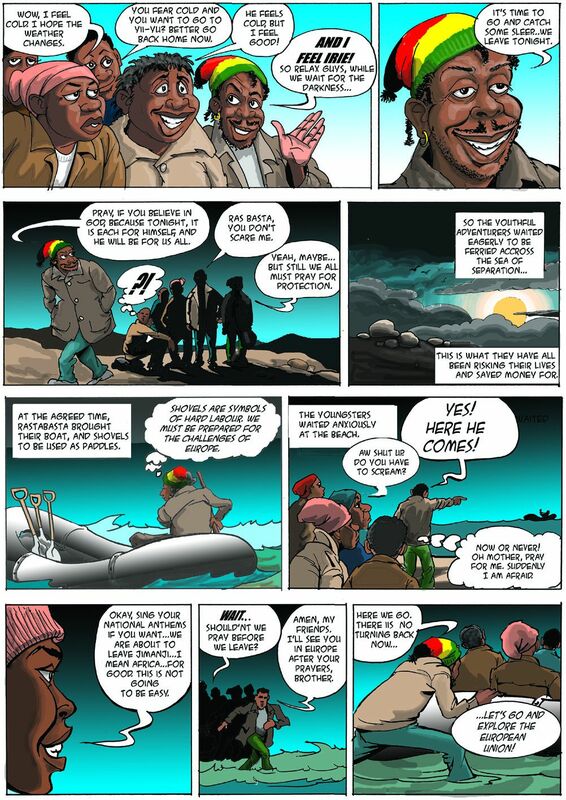 I was a consummate punter of African comics and while Edward Gitau’s Juha Kalulu was the one I could easily access thanks to my old man’s keen interest in Taifa Leo, I stumbled upon Fran’s work when I started reading JOE magazine. I recall reading his piece Terror in Ngecha Village and to date, I still keep the Pichadithi collection. I was attracted by his illustrations but it is his storytelling know-how and talent to bring the characters to life and speak to you that struck me. It is no wonder that I became such a keen follower of his work and like many cartoonists in the country, I longed to meet him. My interest in his work grew immensely when he started publishing Akokhan, that he is most famous for. 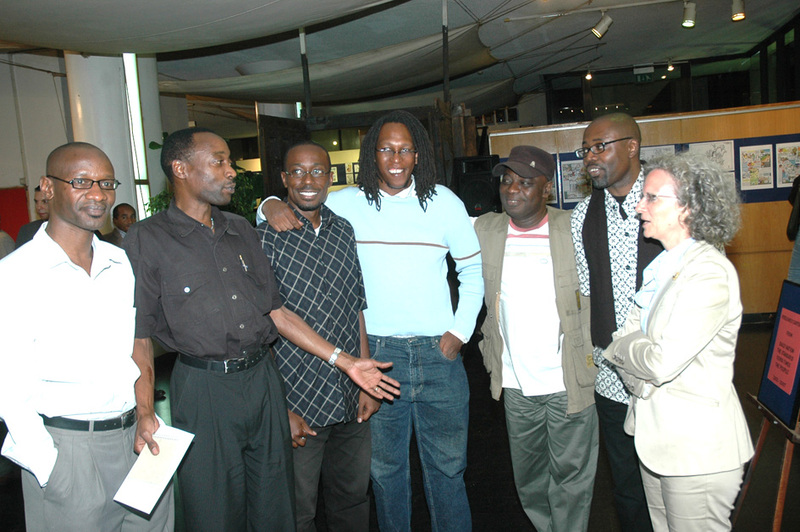 The series ran in The Standard, Daily Nation and has been running in the The Star. The Akokhan story is a powerful one. It is captivating and extremely well illustrated. I fell in love with it and this is the time that I went out of my way to look for him. We, thereafter, struck a friendship and even when the series was discontinued I never stopped pestering him when it would be revived or when he would compile it into a book. The pioneers, the “crazy” gang. You can imagine my joy when he finally told me that the book had been published. Comics always bring out the kid in me and when I got my copy, I was beside myself. I was so excited that never went to bed before I had finished reading and reviewing it. The series revolves around two deadly opposites, Tonkazan and Akokhan. The former, who represents the “dark side,” is a scheming, evil and often murderous villain, while the latter is more reasonable and fights for the good side. 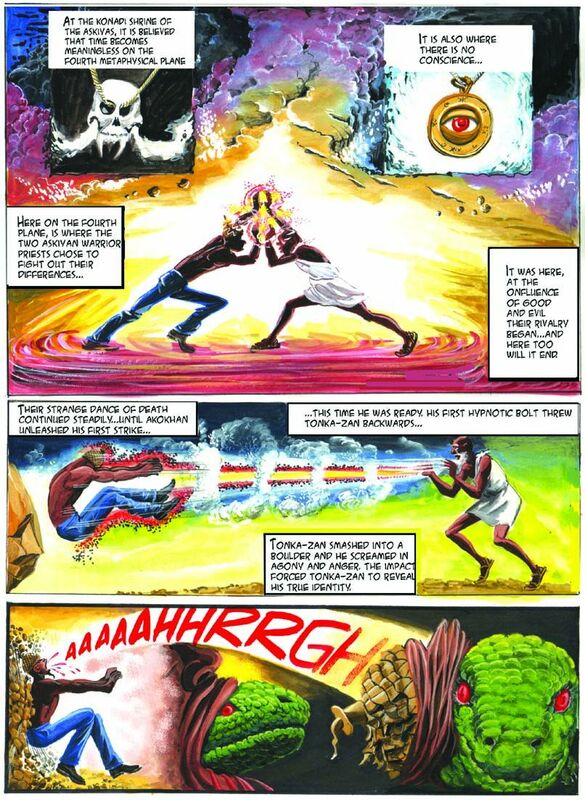 Their rivalry is age old as they seek to possess and control the power-and-strength-giving “Eye of Kofi Larteh”, which is seemingly — the holy grail, the ultimate prize in the never-ending battle of good and evil captured in the opening verse in the profound Konadi Chronicles that are surprisingly well crafted imaginary verses. And these lines of the Konadi Chronicles, serve as the foundation of the powerful and unforgettable Akokhan tale that was influenced by a number of events, friends and foes, environmental upheavals, and the diversity of African culture, especially myths and legends of Ghana’s traditional religions. I shared the book with my son and he was equally taken in by the story. He has there kept on asking for the next edition and I have in turn kept on pestering Frank. When he started publishing it in The Star, we— my son and I, devised a way of making our own comic by cutting the weekly episodes and sticking them in an old diary as an Akokhan scrap book/comic. We have diligently done this and on some days when we missed our copy of the Saturday Star, it has been miserable. Last year, I told Frank about this “little father and son project” and he really laughed. He said that he had a few things lined that would make excite us. True enough, he was, then, working on the children series on Golgoti, his other amazing series. He was preparing to travel to Finland to exhibit some of his work, give lectures and work with kids but he pointed out that in 2012, he would actualize several projects that would be really exciting. There is no doubt that Akokhan is a great story developed and illustrated by a great mind. 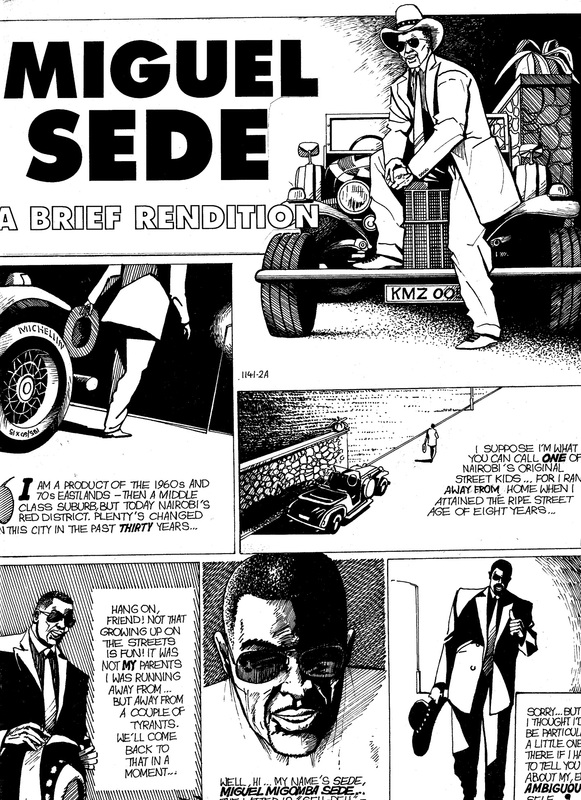 Frank was pioneering a great African comic revolution and an excellent addition to the fast diversifying African literary scene and going by the subsequent works of art that Akokhan inspired, it demonstrated that this— the comic could be the continent’s next literary frontier. 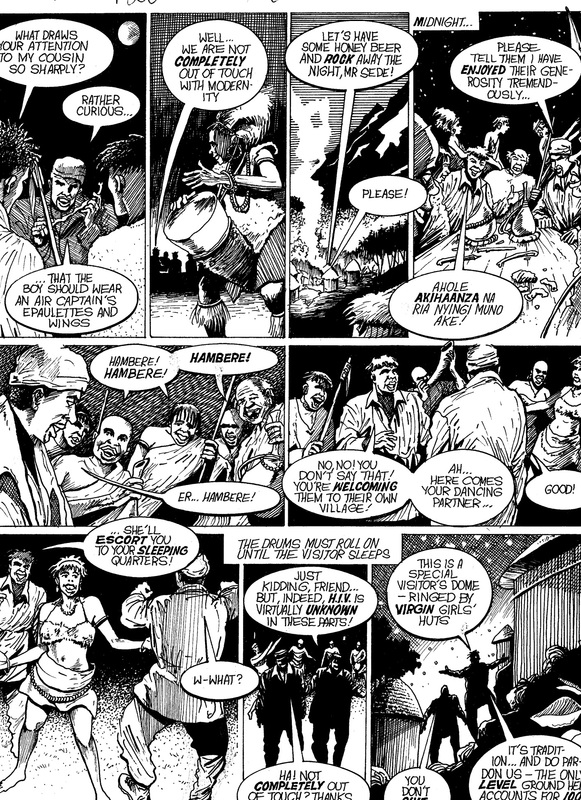 In comparison to the novel, poetry and drama, the comic genre is still in its embryonic stages but it has a lot of potential and some pundits argue that it should be aggressively promoted not just because the storylines are abundant, its inherent powers to contribute immensely to the socio cohesion fabrics of our societies should be exploited. Frank’s resilience to trudge on with creating the Akokhan and Golgoti series inspite of its minimal returns, are clear demonstrations that that “better Africa” is possible. He showed that there is enough to develop our own story lines, whether it is about events from far back in the Songhai—Mali empire of Askia Walata or recent one colonialism, dictatorship, multiparty democracy or the Arab uprising. The possibilities are unimaginable. There is probably no one who can pick up the Akokhan tales and tell them like he did. His legacy will live on in Akokhan and Golgoti and many other pieces that he created. However, his enduring legacy will be the realization of a vibrant African comic and animation industry—a fete that can only be realized by those who knew him or interacted with his work, raising the bar. 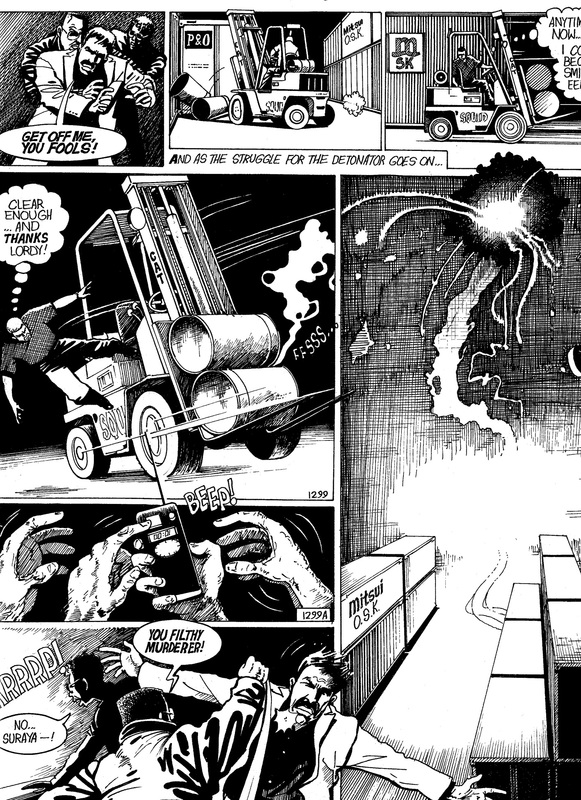 His resilience should flow in the old and young cartoonists to develop their works. Maddo to revive Miguel Sede, Kham to publish the adventures of Bongoman, Chief Nyamweya and Nahabi Wandera to push the limits of the escapades of the captivating Roba among others so that “where grass has grown, grass will grow.” Rest in peace Frank. Rest in Peace. Maddo’s Miguel Sede. A memorable strip that should be revived. I think it’s time u come here to the US and bring the animations u have done an d comics and the first day someone who can draw like that then we can exchange stories and have a hit at Hollywood. Akokhan is the missing piece to the avengers.